People old and young enjoy waxing nostalgic about and learning some of the history of early electronics. 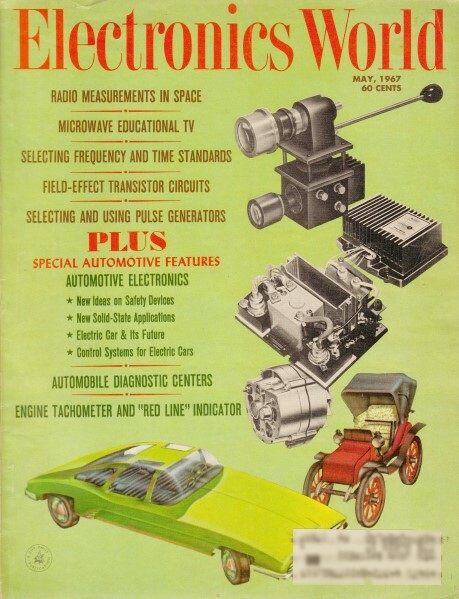 Electronics World was published from May 1959 through December 1971. 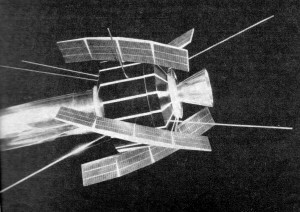 Scale model of the Radio Astronomy Explorer satellite, world's first satellite devoted exclusively to radio astronomy. 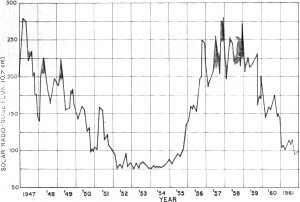 A natural outgrowth of propagation and noise studies was the detection of radio-frequency noise from deep space. 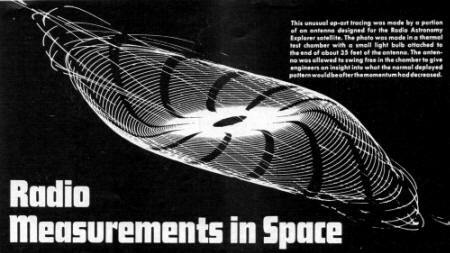 Until the recent advancements in space technology, measurement of space r.f, signals was confined to the ground or to those altitudes accessible to aircraft. This was, of course, also true of r.f. propagation studies. While ground-based and aircraft measurements have contributed much to our understanding of these phenomena, measurements from space vehicles enhance these results. 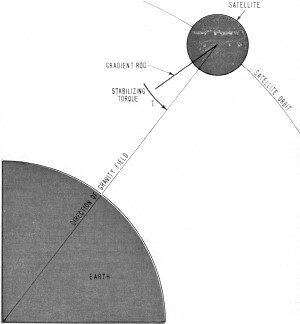 Since the earth's atmosphere acts to severely attenuate certain r.f, frequencies, a measurement of r.f. signal strength taken above the atmosphere provides added information regarding the source, strength, and character of these signals. IIn order to achieve orbit and deploy the four 750-foot antennas, a sequence which will require about two weeks will be initiated by ground command from Goddard Space Flight Center, Greenbelt, Maryland.